Literary Lindsey: It's Monday and I'm trying to catch up! Geez Louise, this has been a hectic couple of weeks. I feel like I am running in place trying to catch up on book reviews, house cleaning, and prepping music for our praise team at church and my music students. If you need me in the meantime, I will be frantically running around like a crazy woman before I head out of town on Friday for a very overdue visit to my best friend. Hope you enjoy Us! I finished it a week ago--I really enjoyed it! Haven't posted a review yet. I'm enjoying a (temporary) break from fiction and participating in Nonfiction November. Kind of binging on it, actually. Lol--I need to remember to read more nonfiction titles throughout the year and not just have to stuff them all in at once. I'm liking it but it's going slowly. I'm not sure if that is about me being in a reading slowdown or about the book itself. I am with you on the nonfiction! I tend to read one per month but that's not really a great ratio. 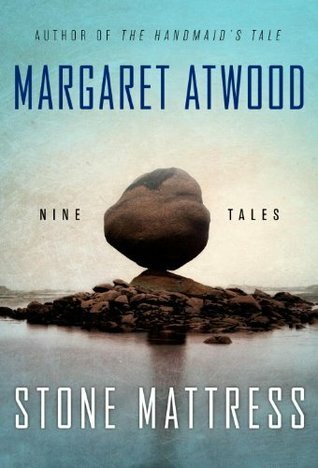 I've heard great things about Stone Mattress....I haven't read much by Margaret Atwood, but I may read this. I think it's a great way to get a feeling for her writing. Atwood is a fantastic writer! Enjoy your books this week...and mostly, enjoy your weekend with your friend! Follow Book by Book on Facebook! Yes, definitely make time for Atwood! She is incredible. I think my favorite is The Blind Assassin but if you want a science fiction type story, go with the Madd Adam trilogy! I'm glad to know I'm not the only one who feels like I'm running in place! I hope life slows down for you soon! I hope everything can calm down a bit so you can enjoy your trip! It looks like you have some great books lined up for this week. I hadn't really been interested in Us, but I keep hearing such great things! 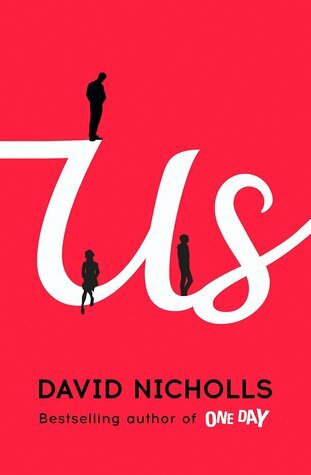 I like books that focus on different parts of a relationship. We get so many stories about falling in love but I wanted to see how you save a relationship after 20 years! 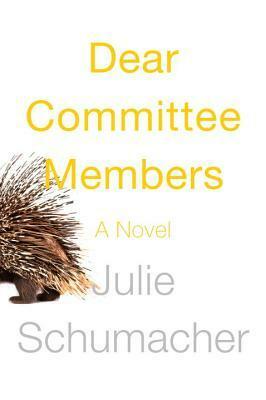 Any book with a porcupine on the cover has got to be good, right? ;) Hope your week is calmer and you have a great trip! Enjoy your visit with your friend. I've got Us on audio and in print. I have a copy of Stone Mattress on my tbr pile. It's mocking me, along with all of the other books I need to get to, lol. You know how that goes!! I never could get into Margaret Atwood's books. I did enjoy it. I posted my review today!